We may have new rental options, but that doesn't mean you should expect anything less than the same great customer service. Our customer service representatives are always helpful and they'll answer any of your questions about our permanent dumpsters and our rental process. We'll make sure your service is everything you expect it to be, and more. If anything ever should go wrong, just give us a call and we will work with you until it is made right. We've worked for years to gain the trust of our customers by making sure every person who rents with us is satisfied with their service. It's how we have run our business and how we will continue to do so in the future. Don't let the size of our 2-yard dumpster fool you. 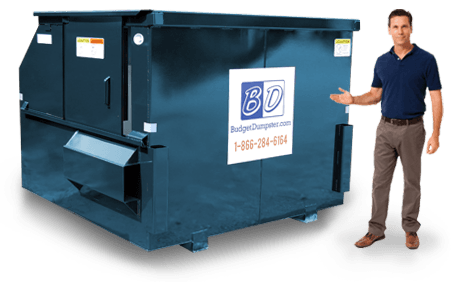 This may be the smallest size of commercial dumpster that we have available for rent, but it still gets the job done. 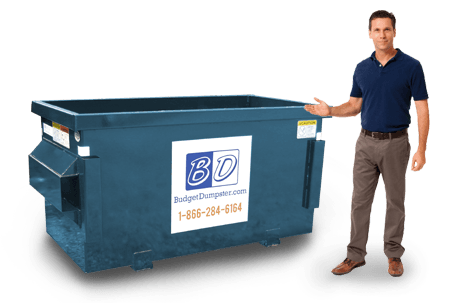 If you have small spaces to work with, or don't produce a lot of trash on a weekly basis, this could be the perfect dumpster choice for you. Small businesses and offices with less than 2,500 square feet of office space usually do well with this dumpster size, with small restaurants being another common user. These dumpsters are only about three feet high, so they're a breeze to fill up. 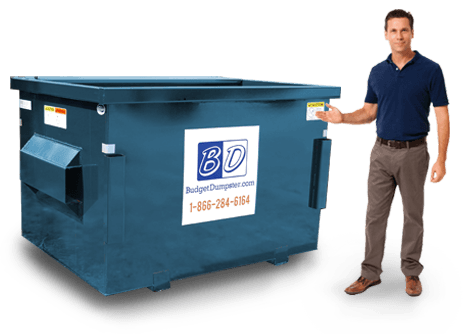 If the 2-yard dumpster just won't cut if for your trash needs, you may be looking for the 4-yard dumpster. Well you can find it right here! This medium-sized beauty is not too big and not too small. It will easily fit behind any building or in a small parking lot. The sides are 4.5 feet high, so it's easy to throw your trash over the side walls just like the 2 yarder. The most common renters of this size include small retailers, medium restaurants, and offices that are less than 5,000 square feet. The 6-yard dumpster is the one you will find just about anywhere and everywhere. It's the most popular size and the most commonly rented because it's so versatile. This dumpster is a heavy duty option without being so big and in the way. They are typically 6 feet wide and 5 feet long. The sides are a little taller at 6 feet, but not to worry. There is a sliding door that makes it easy to throw your garbage in without having to lift it up over your head. 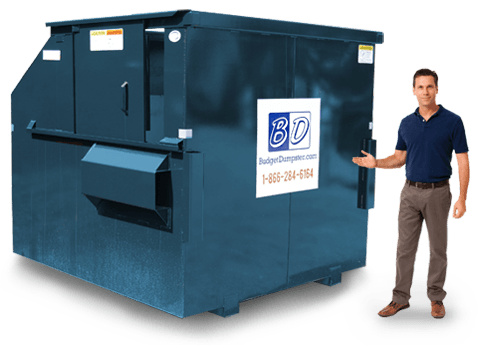 Our 8-yard dumpster is the big daddy and the biggest of the big in permanent dumpster rentals. It stands tall at a whopping 7 feet, but just like it's relative the 6-yarder, it has a sliding door for ease of accessibility. You will find this monster at huge stores, warehouses, and offices that are up to 25,000 square feet in size.